Could the Windows 9 release date be October 2014? Will Windows 9 be hitting shelves before 2015? Information provided by Windows leaker WZOR claims that Microsoft will launch Windows 9 in October this year. This new hint contradicts previous rumours that suggested Windows 8.1 would get an upgrade called GDR1 and debut alongside Windows Phone 8.1 at the Build 2014 conference. 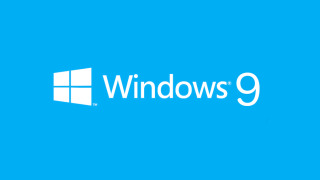 Windows 9 was originally thought to be part of the a set of products to be released in Spring 2015 along with Windows Phone 9 and an upgrade for the Xbox One. The new rumour throws into question the authenticity of the GDR1 upgrade for Windows 8.1 (which could have actually been Windows 8.2) if a whole new operating system is just around the corner. Equally, it signals that Windows 8 isn't working as a platform. With unremarkable sales, the enduring popularity of its predecessors and even its own employees lambasting it, the arrival of Windows 9 later this year will possibly be the death knell for Microsoft's experimental OS. There are no additional details regarding an October launch apart from the information provided by WZOR, but it is certainly a possibility. Microsoft communications chief Frank Shaw said in January that there was a "a cadence" to the updates, suggesting an October release might not be wholly out of the question. All of this information should be taken with a pinch of salt, obviously. Speculation and rumour will either be quashed or backed up when Microsoft steps up to the stage at Build in April.